For Motown girl-group gumption, you couldn't beat Martha and the Vandellas. Their curious name in a sea of Marvel-ous, Supreme, and tip-Top colleagues wasn't the only reason they stood out! Nor was the fact that Motown highlighted their lead in name from the start. Said lead, Martha Reeves, arrived under more modest circumstances on July 18, 1941. It took less than a year for her (okay, her family) to decide to move from Alabama to Detroit. Simply living there wasn't enough to become a celebrity! A shy girl among almost a dozen siblings, Martha Reeves needed nudging from her mom and a schoolteacher to open her mouth and share the words and melodies she'd absorbed. That was enough support. From church to school to the Fascinations to her co-founded group, the Del-Phis, she was well on her way by 1960. But she wasn't going it alone. With Annette Sterling, Rosalind Ashford, and lead singer Gloria Williams, she and her latest group joined the Chess label, Checkmate. They stumbled, however, with "I'll Let You Know." At 19, she shifted her résumé back toward showbiz: Citywide Cleaners employee. Talent contest winner. Three-night soloist at the Twenty Grand Club, as Martha LaVaille. And, fatefully, Mickey Stevenson's latest recruit for the Motown roster. Getting his business card motivated Reeves to dump her Cleaners job and enter Hitsville the next day. Oops. No appointment meant no audition. But Reeves proved a worthy addition as a highly efficient A&R secretary. Her dedication even while salary-less at first and while arranging other singers' auditions would surely pay off. It did thanks to Mary Wells--or, rather, no Mary Wells. Union rules required a "singer" at the mic whenever the musicians played. So when Wells didn't come to one recording session, Stevenson brought in his receptionist. He mainly needed her presence, but Reeves gave him--everyone--her voice. Now they remembered why she'd originally come! The opportunities snowballed in 1962. All four Del-Phis got to fill in for the absent Andantes on Marvin Gaye's "Stubborn Kind of Fellow." And "Pride and Joy." And "Hitch Hike." As the Vels, the girls released a Motown Mel-O-Dy single, "You'll Never Cherish a Love So True ('Til You Lose It)." It bombed, but the company still wanted them. Gloria Williams declined. The remaining trio, needless to say, didn't. Time for yet another change. Martha the loyalist got her name in front. Instead of something flowery or ego-boosting for the group, it merged her grandmother's street, Van Dyke, with Reeves's idol, Della Reese. 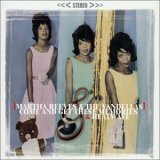 Martha and the Vandellas it was, and Motown artists they were as of September 1962. That Wells-turned-Reeves demo tape, "I'll Have to Let Him Go," became Martha and the Vandellas' first release the next year. The whirlwind picked up with the R&B hit, "Come and Get These Memories," courtesy of two Hollands and Dozier. With those promising songwriters, Martha and the Vandellas kicked their relentless harmonies up a notch in an itty ditty called, "(Love is Like a) Heat Wave." Hot-blooded songs like those kept much soulful steam while pumping up the "pop" in popularity. But after rising ever higher from "Quicksand," Annette Sterling withdrew in 1964. Betty Kelley of the Velvelettes replaced her just in time for Martha and the Vandellas'--heck, the 1960s'--signature anthem, "Dancing in the Street." Martha Reeves vented that she had "Nowhere to Run" in the freaky 1965 smash. But departures were still possible for the Vandellas. In 1967, Betty Kelley was out, making way for Reeves sister Lois. The same year the singers added "Jimmy Mack" and a post-HDH "Honey Chile" to their discography, they modified their name once more to Martha Reeves and the Vandellas. They'd always swept through tours and club gigs with panache. But the breakneck pace and the losing struggle against the Supremes juggernaut now drained Martha Reeves. A few too many prescription drugs later, her nerves revolted, and her health slid. As did the Vandellas. Sandra Tilley, Velvelette alumna #2, stepped in for Rosalind Ashford at the end of the decade. With its best days in the past, Motown's ultimate dance group hobbled along until a farewell concert in December 1972. Martha Reeves geared up for her solo career. However, Motown nearly nipped those plans in the bud when it left Detroit without telling her in advance. Reeves fought back aggressively, suing for her freedom from the deserting company. Lopping off "and the Vandellas," the singer released a pricey self-titled album with MCA in 1974. Unfortunately, its genre-blending ambitions far surpassed its sales. Things got much worse mentally with two breakdowns before they got better spiritually. A born-again Christian in 1977, Reeves renewed her individual efforts with several more labels before letting it all go in 1980. But who said she couldn't reverse the clock? Martha and the Vandellas of yore, Annette Sterling and Rosalind Ashford, hooked up now and again from 1978 into the 1990s. Sisters Lois and Delphine did the same with Martha as another pair of Vandellas. Sadly, Sandra Tilley's 1981 death from an aneurysm had made her retreat from music permanent. New experiences have come the group's way. Martha Reeves has managed more solo outings after all, including a 1994 biography. Can't forget the Motorcity label's "Step Into My Shoes," a 1989 single by the original trio. And the Foundation and Halls of Fame for Rhythm and Blues, Rock, and Vocal Groups have affirmed the singers' gifts for posterity. Martha and the Vandellas may not have sustained the same commercial heights as other Motown artists. But everything they could have done to ignite their music, they did, with voluptuous vocals and intoxicating zeal. 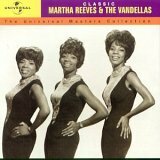 Does this Martha and the Vandellas biography make you ready for their Motown oldies colleagues? Home is where the artists are!